Data, while intangible in the world of computers, still need a place and some resources in order for it to exist. There are tons of ways to achieve this, and they’re only growing by the minute. Cloud storage is the latest means to keep data safe, along with sites that are dedicated to storing your info for a monthly fee. Other than that, more analogous means like HDs are also great means to save date. But what about the data you don’t want to share online? The kinds of stuff that you’d rather remain anonymous and stored away somewhere safe. This kind of information is not stuff you’d want laying around the Internet, which is why the perfect solution for you is to use a DVD maker for Mac. It is somewhat appropriate that the first item on this list describes the action you are about to take exactly. The program is massively simple, being that the interface has only 4 major tabs, a text box for naming the DVD, and a drop down box that lets you select what type of disc you’re going to use. The tabs are split up into the major types, Data, Audio, Copy, and Video, and for personal use, that should be enough. This is a great starter program for those that have needs in this kind of programming. 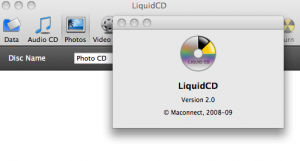 Another great program for burners on the mac is LiquidCD and it serves most of all your needs when it comes to DVD burning. It doesn’t have too many advanced features, however, it does contain the ability to burn a photo gallery along with the other standardized types of discs. Nothing special, but it’s a very solid program. Another great app you can look into for these kinds of software is Disco but not because of what you think. This application has a pretty look to it, and a unique interface means that you are able to enjoy doing this stuff. It has simple controls, so you won’t have a problem navigating Disco isn’t a particularly detailed program, but it is worth a look if you want something unique to play around with. SimplyBurns has a very descriptive and straight forward title. The program is the same, dealing with the actions of burning with a no nonsense and direct to the point ethic. The look is incredibly simple and kind of crude in comparison to newer programs. It has buttons that burn, you can rip media directly from your DVDs and CDs and store then on your PC. 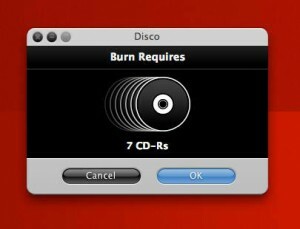 You can burn the same variety of discs with the help of an efficient little program. The drag and drop feature has always been a huge thing in almost all operating systems, because it simplifies all your actions. The beauty of this app is it’s free and it uses the same action to burn your media. It can also be used to open up multiple sessions to allow consistent and quick burning sessions. It also has the ability to delete certain data from DVD and CDs if you need a spare. It’s a little old now though, but you can still exploit it completely for free. The real difference between a lot these programs is that sometimes they might lack a few details and features that make the best of your DVDs and CDs. Wondershare is on this list because you can actually watch and burn DVD files from videos. This means the full video treatment, and not just data discs that contain the information in the videos. The same goes for music and other media you want burned onto a disc. At the same time, it also has the drag and drop feature. If you want a program that is sure to have all of the details and features you want in a program, then Toast is your answer. The problem with this is that it has way to many features, but is no doubt, something you’d love for professional use. It has everything imaginable when you need to burn a disc, and on top of that, a ton of capture software for the web and camcorders. There is a conversion aspect to the program, which also allows you to shift videos into a format recognizable by the iPad and iPhone. Lastly, it also gives you the ability to share all this stuff on major social networks, along with a few video host sites. The thing is, it costs a lot of money, ranging from $79 to $120, which is probably going to gouge out your cash. Macs are awesome because they have power behind a massive amount of support. They are efficient and allow for a lot for a lot of control for users. Surprisingly enough, it also has a lot of support for owners, which makes them a prime choice for many professionals. This is only brought up to emphasize the fact that you can also make DVDs and CDs through the default media player. 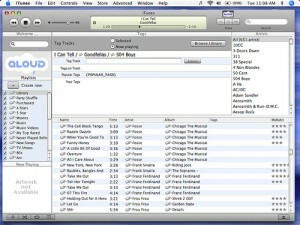 Just mix up a play list and choose the burn option. 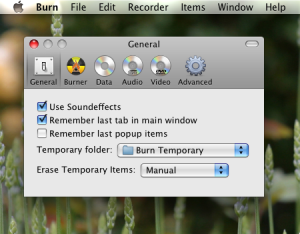 So you have finder on your Mac, and it also has a burning capability. Just click the file tab, then new, then burn folder, and it should open. The simplest action here is to drag and drop any files you need into it. Lastly, just click the burn disc button and then you’re done. This is the last and probably the best program to use for burning. It’s like Windows Movie Maker, but it has a bit more features in store for you to use. This isn’t a bad thing, as the fully fleshed program allows you more control than you would think. This is where the two default Operating System programs differ, as the Mac version is a little better equipped to make your movies. Those are the top programs that you can use to store your data. As you may have noticed, these DVD makers for Mac also double as a means to make the best DVDs and CDs just in case you want to make your own stuff.